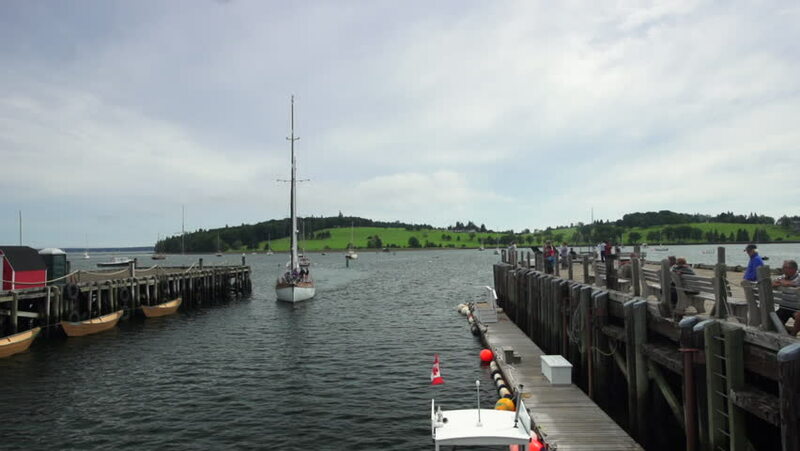 A schooner pulls up to dock at a wooden pier, filled with tourists, in Lunenburg Harbour, Nova Scotia. Also a world heritage site. hd00:25Picturesque yellow dories float against a wooden pier, along the boardwalk of downtown Lunenburg, a small fishing village and World Heritage site in Nova Scotia. Brightly coloured homes are visible. hd00:13Faliro Marina - Southern Athens, Greece. hd00:19Yachts moored at a yacht club on the Swan River in Perth, Western Australia. hd00:08BEACH HAVEN, NJ/USA - NOVEMBER 29, 2013: Boats docked on the bay at dusk timelapse. Beach Haven is known on Long Beach Island as the "Queen City".